Sydney Grace Deep Water Shimmer Shadow ($5.00 for 0.06 oz.) is a muted, navy blue with cool undertones and a pearly sheen. It had nearly opaque color payoff that applied evenly to bare skin and blended out with little effort. The texture was smooth to the touch, dense without being too firmly pressed in the pan, and easy to work with. It lasted well for eight hours on my skin before fading noticeably. Dior Reveuse (271) (LE, $31.00) is more shimmery (90% similar). Too Faced Christmas Carol (LE, $16.00) is more shimmery, warmer (90% similar). Smashbox Nocturnal (PiP, ) is more shimmery, warmer (90% similar). NARS Sprung (DC, $25.00) is more shimmery, darker, warmer (90% similar). MAC Lunar (P, $20.00) is more shimmery, darker (90% similar). NARS Arcturus (P, $29.00) is more shimmery, warmer (90% similar). 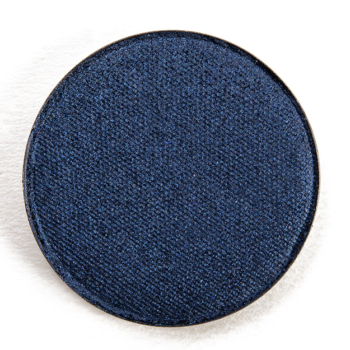 Too Faced Bluebird (PiP, $16.00) is more shimmery, darker, warmer (90% similar). Marc Jacobs Beauty The Parisienne #2 (LE, ) is more shimmery, cooler (85% similar). Sephora Stormy Seas (113) (LE, $13.00) is more shimmery, warmer (85% similar). Charlotte Tilbury Midnight Seduction (LE, ) is more shimmery, darker, warmer (85% similar). Sydney Grace Boy Crazy Pressed Pigment Shadow ($6.00 for 0.06 oz.) is a bright, medium blue with strong, cool undertones and bluish-violet pearl. It appeared much, much lighter and bluer applied than it appeared in the pan. The texture was denser, firm without being too difficult to pick up, though a heavier hand or moderately dense brush was best with this particular shade. It had opaque pigmentation that blended out nicely and stayed on well for eight and a half hours on me. Colour Pop Mood (LE, $5.00) is less shimmery, darker, warmer (90% similar). CoverGirl Sapphire Flare (315) (LE, $4.99) is darker, warmer (90% similar). MAC Freshwater (DC, $17.00) is lighter, warmer (90% similar). Colour Pop The Water Bearer (LE, $6.00) is lighter (90% similar). Colour Pop Two Piece (P, $5.00) is less shimmery, darker (90% similar). Juvia’s Place Dalia (P, ) is more shimmery, darker, warmer (90% similar). NARS Showgirl (P, $19.00) is less shimmery, lighter, warmer (90% similar). Sugarpill Afterparty (P, $13.00) is darker, warmer (85% similar). 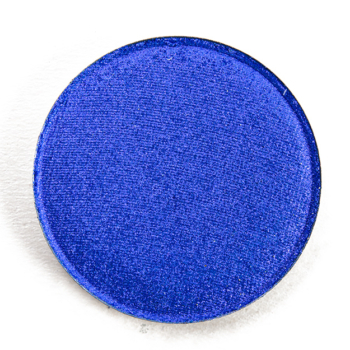 Make Up For Ever ME216 Electric Blue (P, $17.00) is darker, warmer (85% similar). Urban Decay Clash (DC, $20.00) is less shimmery, lighter, warmer (85% similar). Sydney Grace Saturn Shimmer Shadow ($5.00 for 0.06 oz.) 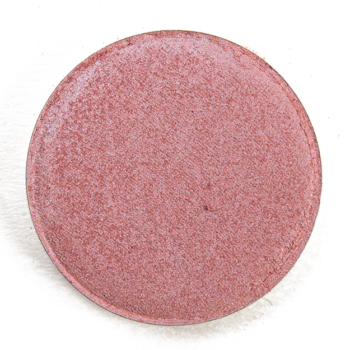 is a medium-dark purple with subtle, warm undertones and a pearl finish. It had opaque color coverage that applied evenly to bare skin and blended out nicely along the edges. The texture was soft, a little dusty but not prone to fallout, and was easy to work with on my lid. It wore nicely for eight hours on me before it started to fade noticeably. Anastasia Opaline (DC, $12.00) is more shimmery, cooler (90% similar). Urban Decay Rogue (LE, $19.00) is less shimmery, lighter (90% similar). LORAC Meditation (LE, $19.00) is lighter (90% similar). 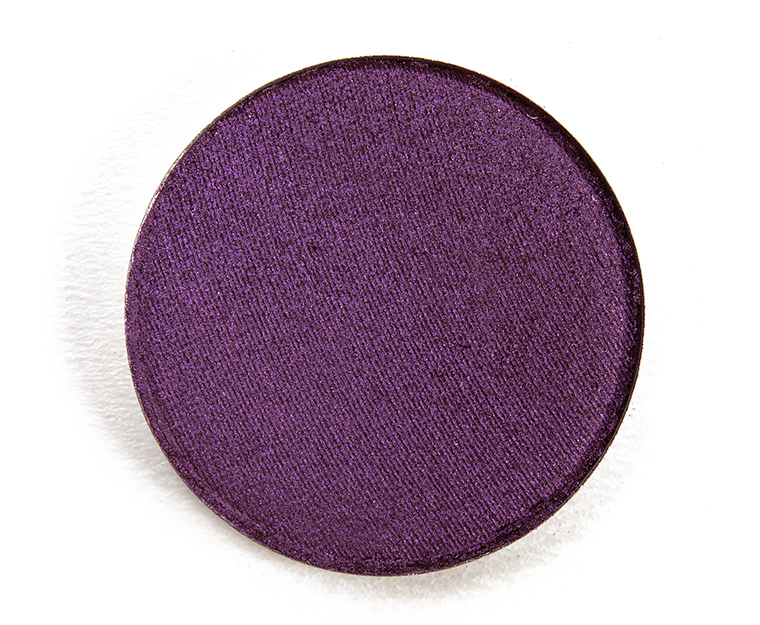 Tarte Amethyst (P, $14.00) is more shimmery, lighter, warmer (90% similar). 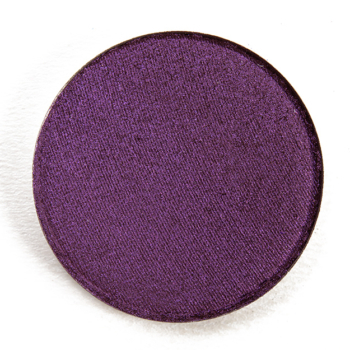 Milani Bella Purple (15) (P, $4.49) is lighter (90% similar). Sydney Grace Mythical (P, $6.00) is more shimmery, brighter, cooler (85% similar). Urban Decay Psychedelic Sister (P, $19.00) is more shimmery, lighter (85% similar). Kat Von D Selena (LE, ) is lighter, warmer (85% similar). Viseart Coy #8 (LE, ) is more shimmery, lighter, cooler (85% similar). Kat Von D Catherine (LE, ) is more shimmery, lighter, warmer (85% similar). 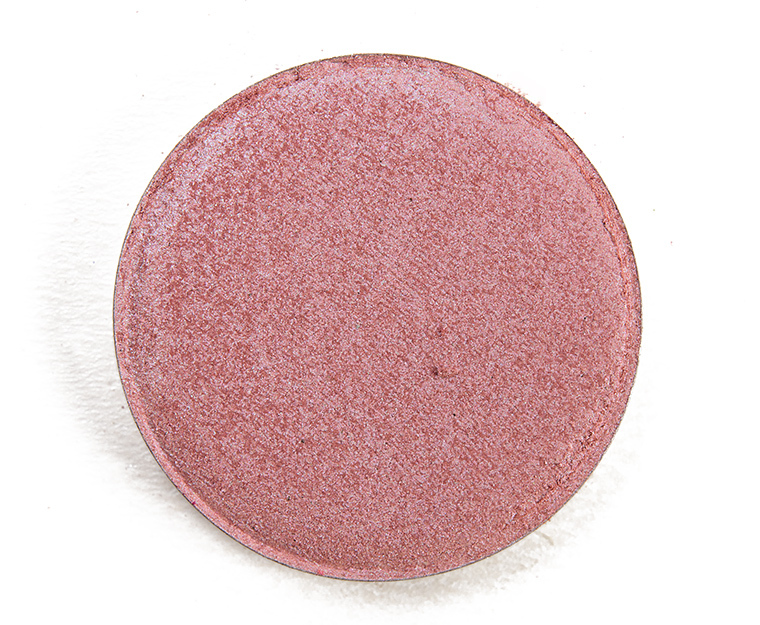 Sydney Grace Elysian Pressed Pigment Shadow ($6.00 for 0.06 oz.) is a muted, dusty pink with warm undertones and a pearly sheen. It had rich color coverage with a soft, lightly powdery consistency that applied well to bare skin. The eyeshadow was easy to pick up, blend out, and lasted well for eight hours before fading noticeably on me. Chanel Cristal de Printemps #2 (PiP, ) is more shimmery, darker, cooler (95% similar). LORAC Blush (LE, $19.00) is more shimmery (95% similar). Natasha Denona Juneau (145S) (PiP, $29.00) is more shimmery, cooler (95% similar). YSL Paris #3 (LE, ) is more shimmery, lighter, cooler (95% similar). Too Faced Frosted Pink (LE, $16.00) is more shimmery, cooler (90% similar). Sephora Magic (PiP, ) is darker, cooler (90% similar). Pat McGrath Skinshow Glow (PiP, ) is lighter (90% similar). Ulta Pink (P, $10.00) is more shimmery, lighter (90% similar). NARS Melrose (P, $22.00) is more shimmery, darker, cooler (90% similar). Surratt Beauty Ingenue (P, $20.00) is more shimmery, cooler (90% similar). 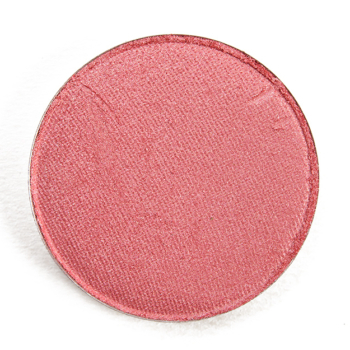 Sydney Grace Secret Pressed Pigment Shadow ($6.00 for 0.06 oz.) is a light-medium coral with warm undertones and a frosted sheen. The eyeshadow had opaque color payoff in a single layer, which applied well to bare skin and blended out without difficulty. The texture felt smooth to the touch, soft without being powdery, and sat well on my skin. It stayed on well for eight hours before I noticed any fading on my skin. Too Faced Sugared Strawberry (LE, $16.00) is more shimmery, darker, warmer (90% similar). Marc Jacobs Beauty She Said (LE, ) is more shimmery (90% similar). Urban Decay Bare (LE, $19.00) is more muted (90% similar). BH Cosmetics Club Tropicana #17 (LE, ) is more shimmery, darker, warmer (90% similar). Too Faced Jardin (PiP, $16.00) is darker (90% similar). Wet ‘n’ Wild VI Purple #10 (PiP, ) is less shimmery, cooler (85% similar). Make Up For Ever I802 Coral Pink (DC, $21.00) is more shimmery, darker (85% similar). Fenty Beauty Mamacita (LE, ) is warmer (85% similar). Colour Pop Blossom (LE, $5.00) is darker (85% similar). Viseart Grande Pro (Vol. 2) #22 (LE, ) is darker, warmer (85% similar). 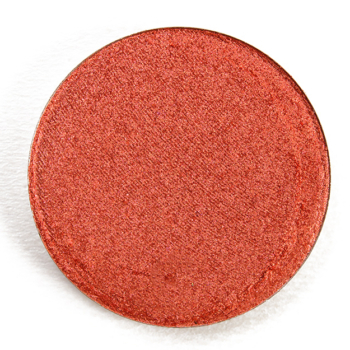 Sydney Grace Marmalade Pressed Pigment Shadow ($6.00 for 0.06 oz.) is a rich orange with warm undertones and a golden, metallic finish. It was intensely pigmented with a denser, lightly creamy texture that was more firmly pressed in the pan and seemed a bit thicker overall. It was harder to apply evenly to bare skin without really pressing and gently pushing the eyeshadow into place. I found fingertips to be particularly useful with this shade for diffusing/spreading the color out. It wore well for eight and a half hours on me before creasing faintly. Colour Pop The Aries (LE, $5.00) is less shimmery, lighter, warmer (95% similar). Make Up For Ever ME734 Tangerine (P, $17.00) is lighter, warmer (90% similar). Make Up For Ever ME734 Tangerine (DC, $21.00) is less shimmery, lighter, warmer (90% similar). Colour Pop Floaties (LE, $5.00) is lighter, warmer (90% similar). Coloured Raine Dream (LE, $6.99) is more shimmery, darker, more muted (90% similar). BH Cosmetics Club Tropicana #20 (LE, ) is less shimmery, lighter, warmer (90% similar). Morphe Sauce (PiP, ) is less shimmery, lighter, warmer (90% similar). Colour Pop Wild One (LE, $5.00) is less shimmery, more muted, warmer (85% similar). Urban Decay Paradox (LE, $19.00) is less shimmery, lighter (85% similar). Coloured Raine Pumpkin Pie (P, $6.99) is less shimmery, warmer (85% similar). Sydney Grace Speedway Matte Shadow ($5.00 for 0.06 oz.) is a light taupe with neutral-to-warm undertones and a matte finish. It had nearly opaque color coverage in a single layer, which easily built up to full coverage with less than half of a layer more. The texture was soft, lightly powdery and prone to a bit of fallout if I wasn’t careful with initial placement. It lasted nicely for eight hours on me before I noticed fading. Chanel Clair-Obscur #2 (PiP, ) is darker, cooler (90% similar). Marc Jacobs Beauty Covets (LE, ) is warmer (85% similar). Wet ‘n’ Wild The Night’s Quad #1 (LE, ) is warmer (80% similar). Tarte Jingle All the Grey (LE, ) is darker (80% similar). Sephora Chou a La Creme (353) (P, $8.00) is warmer (80% similar). NARS Mahe #2 (PiP, $19.00) is darker, cooler (80% similar). Tarte Mud Mask (LE, ) is warmer (80% similar). Sephora Mushroom (LE, ) is darker, warmer (80% similar). Bad Habit Eos (PiP, ) is darker (80% similar). MAC Love on the Run (LE, $17.00) is warmer (80% similar). Sydney Grace Thunderbird Matte Shadow ($5.00 for 0.06 oz.) is a muted, medium bluish-gray with cool undertones and a matte finish. It had excellent pigmentation in a single layer, which applied well to bare skin and didn’t sheer out too readily. The texture was smooth, velvety, and blendable without being too powdery nor too firmly-pressed in the pan. It stayed on well for eight hours on me before it started to fade noticeably. Viseart Cool Mattes 2 #6 (PiP, ) is darker, warmer (90% similar). Makeup Geek Stealth (P, $6.00) is darker (90% similar). L’Oreal Meet Me in Paris (P, $5.99) is more shimmery, darker (90% similar). Blackbird Cosmetics Fiction (P, $8.00) is darker (90% similar). Marc Jacobs Beauty The Free Spirit No. 14 (LE, ) is darker (90% similar). Kat Von D Smoke (Contour) (PiP, ) is darker (90% similar). Kat Von D Dios (LE, ) is more shimmery, warmer (85% similar). Marc Jacobs Beauty For Less (PiP, ) is cooler (85% similar). Colour Pop Lovey Dovey (LE, $5.00) is more shimmery, lighter (85% similar). Laura Mercier Purple Rain (LE, $22.00) is more shimmery, cooler (85% similar).